The Fusion is a truly remarkable Hookah that encompasses detail in the form of a revoluationary designed Bohemian style vase. 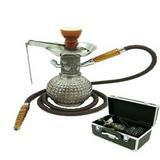 This Hookah contains a screw on shaft, eliminating the need to use rubber base grommets. The Fusion Hookah is stored in a premium hard style carrying case for comfort and privacy. This Deezer Hookah is ideal for traveling due to its overall size. 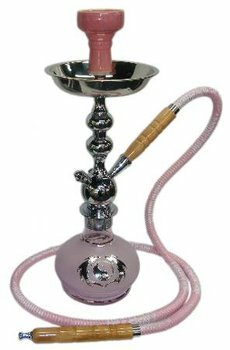 This Hookah may be converted to a four hose Hookah by utilizing stem adaptors that contain the auto-seal system. The Auto Seal system eliminates the need to use rubber stoppers and flip caps when there are multiple users smoking the Hookah. This Hookah may be used for both decorative and smoking pleasures, providing entertainment for years to come. The Fusion may be converted up to a 4-Hose model which utilizes the auto-seal system by purchasing additional stem adaptors. Click Here to purchase a single stem adaptor. Click Here to purchase at least three stem adaptors at a reduced package price per item.